You are here: Home / Programs / Multisolving / What Is Multisolving? Click the image for an infographic explaining multisolving. Green spaces. Public transit. Energy efficiency. Bike lanes. Community gardens. Clean energy. What do all of these policies have in common? They all mitigate climate change by reducing or sequestering greenhouse gases, and they all make up elements of attractive and livable communities. If done right, they can even contribute to a more equitable and just world. We call these solutions, and dozens of others like them, multisolving – because they solve multiple problems with just one intervention. Multisolving policies help protect the climate while also providing other co-benefits, such as improving health, disaster resilience, the economy, and access to healthy food and clean water. 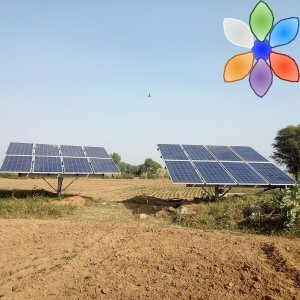 They help connect us to the natural world and people around us, and they do that while saving time and energy. They are, in short, win-win solutions for people and the climate. Four Reasons to Multisolve – From financial prudence to a thirst for justice, multisolving makes sense for many reasons. Six Characteristics of Multisolvers – Infographic explaining who multisolvers are and what they do. Check out our library of examples of policies around the world that have helped mitigate climate change while also producing multiple benefits like improving health, equity, justice, disaster resilience, and the economy. We have also included several organizations who are showing leadership in the field of multisolving. Know of an individual or organization doing inspiring multisolving work, or know of a great multisolving policy? Let us know and we’ll add it to the library! 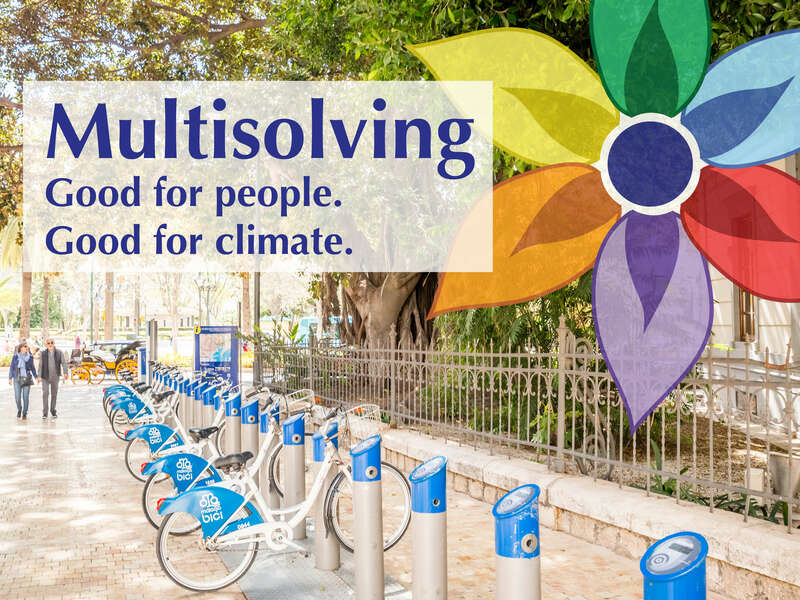 Take a look at our tools for multisolvers to find out how to get involved and be a more effective multisolver, learn how we are helping communities around the United States to multisolve, or take a look at the research we are doing on multisolving globally. 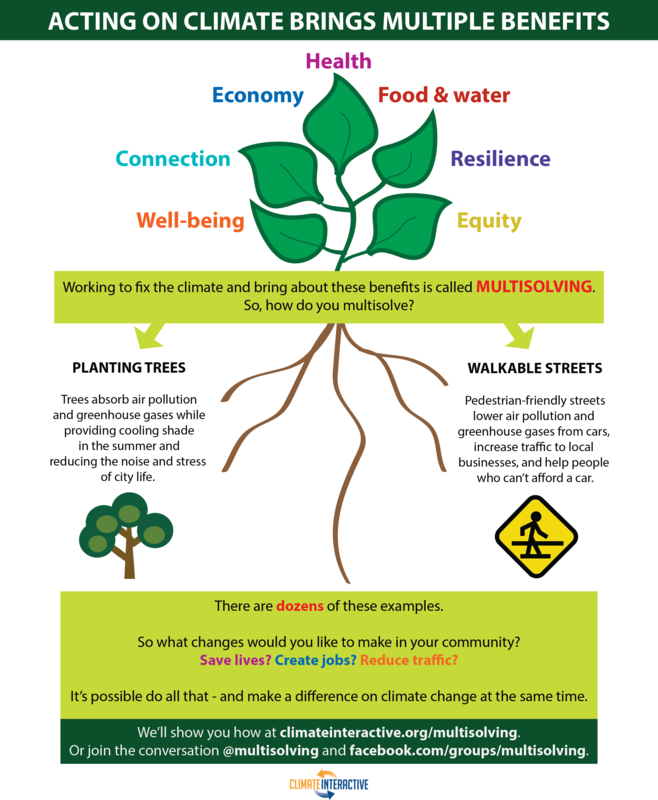 Resilience.org: Individual carbon footprints or collective systemic change? Both!